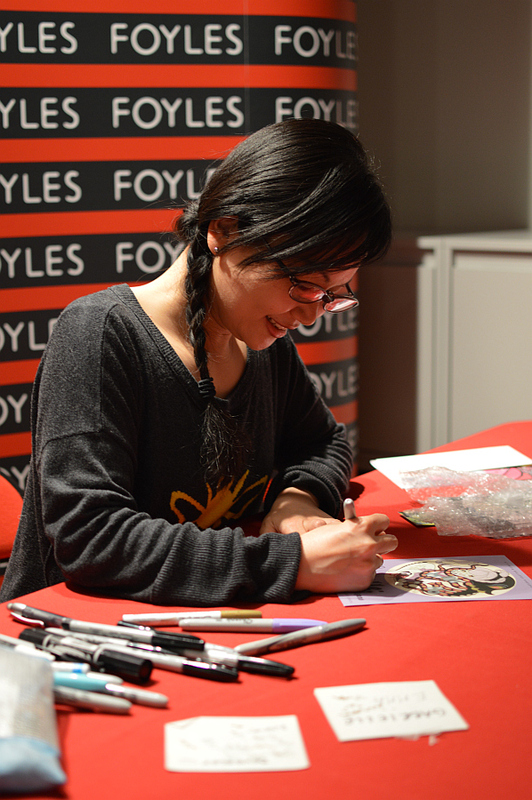 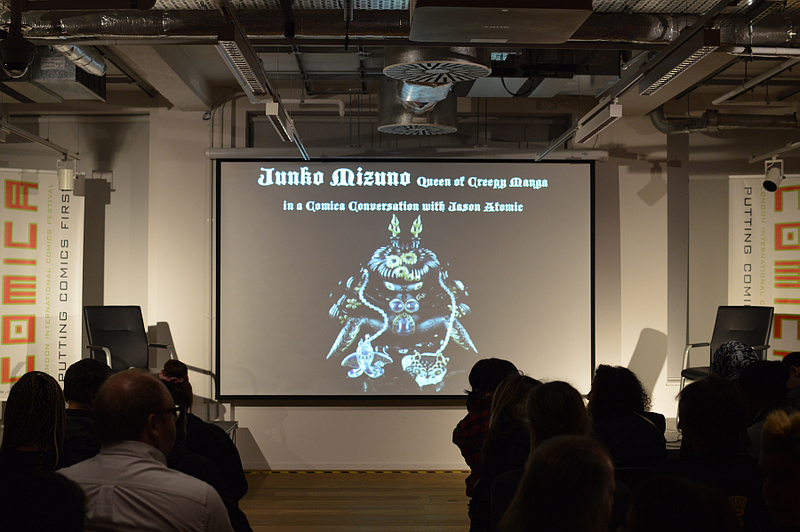 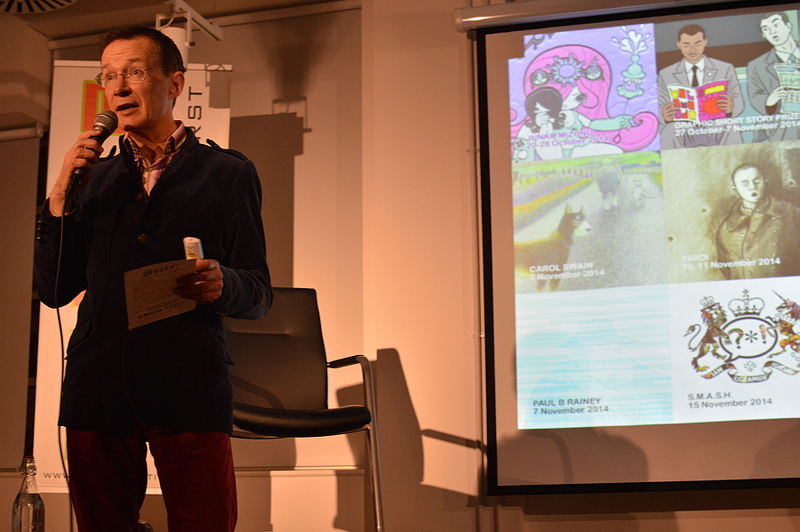 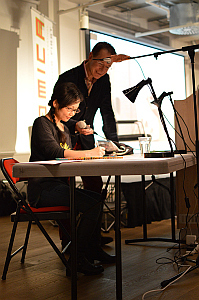 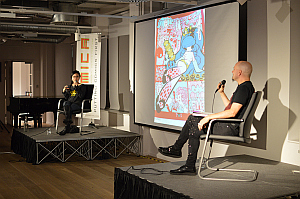 Comica Festival kicked off this week with two events revolving around the dark fantasy worlds of Junko Mizuno, the Queen of Creepy Manga herself. 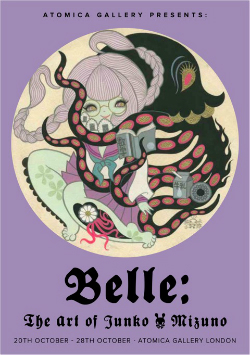 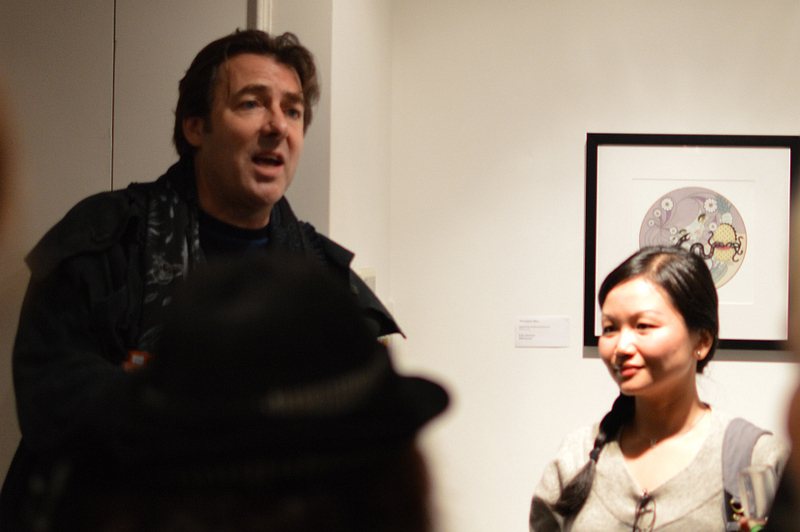 On Monday 20th October – and with an introduction from long-time fan Jonathan Ross – the Atomica Gallery opened their exhibition ‘Belle: The Art of Junko Mizuno’ which runs at the gallery until October 28th. The show is the perfect opportunity to immerse yourself in the peculiarly alluring synergy of the disquieting and the cute that runs through the artist’s work. 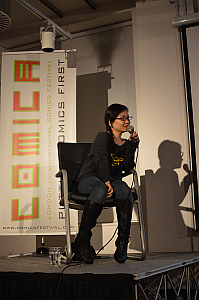 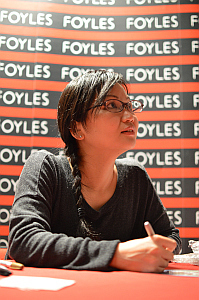 And then on Wednesday 22nd October the first Comica Conversation of this season’s series of events was held in the new Foyles building. 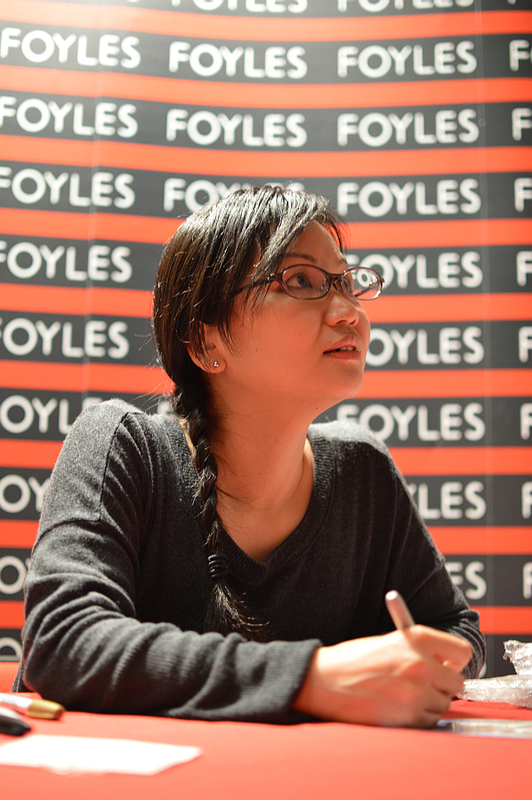 Jason Atomic chatted with Junko Mizuno in an interview that covered her distinctive visual style, the perception of comics artists in Japan, her relocation to San Francisco, and her early days as a self-publisher before her rise to comics superstardom. 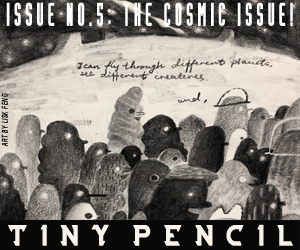 Fans of Broken Frontier’s ‘Small Pressganged’ column will, no doubt, take some satisfaction in the last part of that sentence! The photos of both events below are courtesy of Dean Simons. 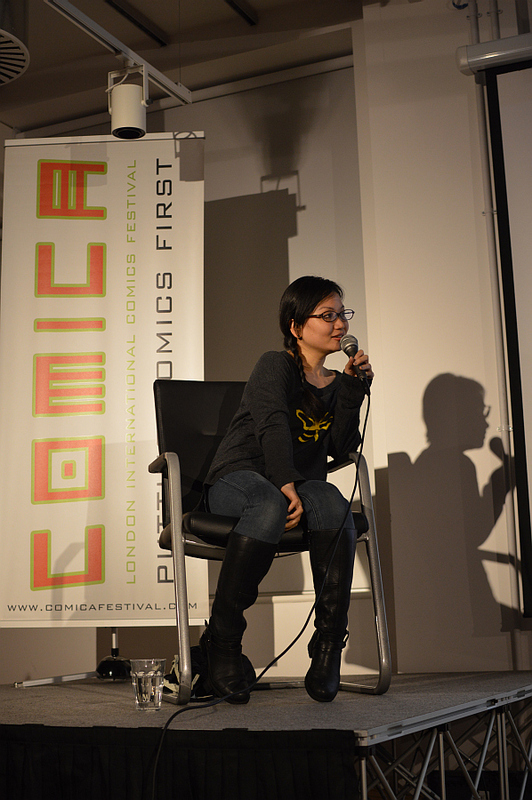 For further information on Comica Festival events check out the programme on the Comica website here.